We have customers that need quotes. 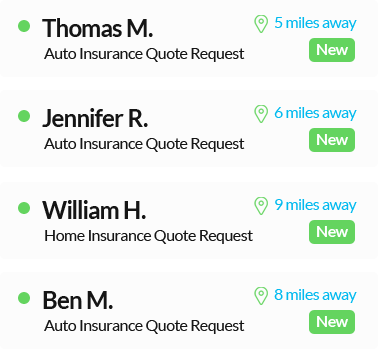 Connect with customers right here on United States Insurance that are actively looking for insurance. We verify every submission and immediately send it to you either as a live insurance call or lead. Pre-qualified prospects delivered to your agency ready for a quote.